Fenophoto, developed by Alessandro Lazzara & Beniamino Ferrari, automatically and with just one-click allows you to enhance and remove most common defects of any digital photo. Fenophoto works with powerful algorithms used in video restoration, many of which use sophisticated frame reconstruction techniques. It provides a set of preconfigured filters, so anyone can easily enhance photos with little to no knowledge of photography. Fenophoto allows you to save and share your enhanced shots with social media! Fenophoto requires a fast internet connection. As said before, because Fenophoto uses complex algorithms to automatically enhance your images, it need to upload photos to our servers and than processed photos will be returned to your phone. But nobody can view your images, that will be automatically deleted in 1 hour! However, we are not responsable for the content that you upload. 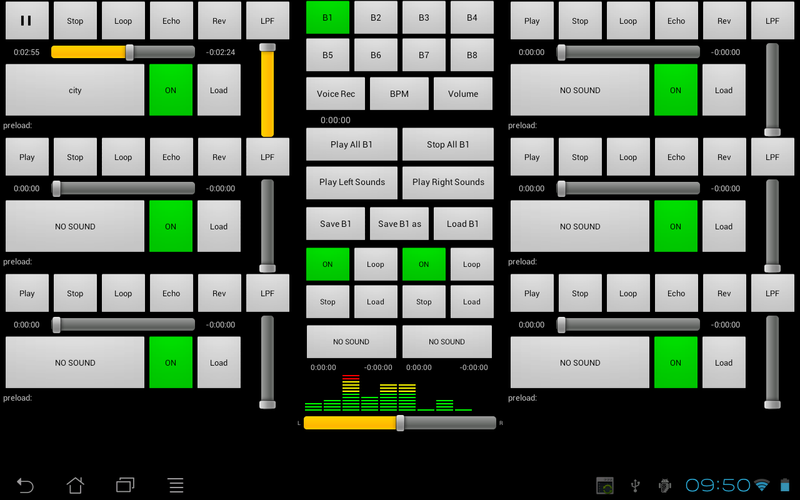 Live Touch XJ continues its ascent in the world of live mixing on Android devices. Continuous innovation and research in improving performance make the application almost ideal for creating real time mixes. Creativity for musicians and DJs has no limits. In the new version, in addition to a new effects management, real time effects echo, cut off we find support for the most important audio formats. The video shows one of the Live Touch XJ fans struggling with an android version suitable for laptops. After an extensive work in close contact with one of the most innovative Tour Operator in the travel industry, we are pleased to present you the first Cuba travel portal: cubaparami.com . 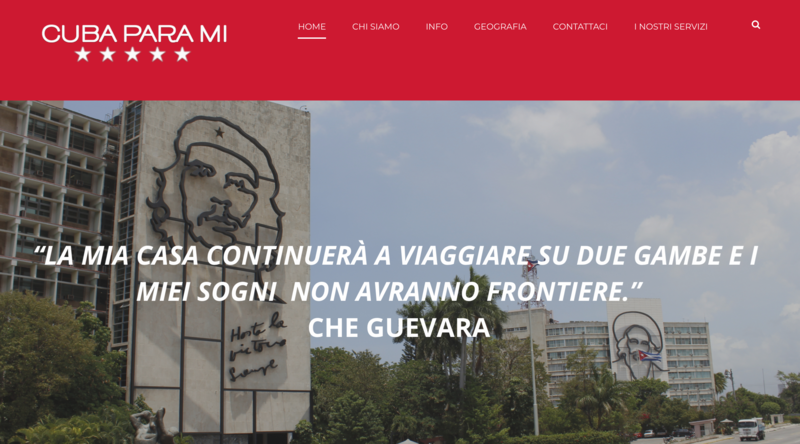 On this platform you will be able to book a full trip to Cuba with an almost limitless set of customizations. Once the module has been completed, after a fast data processing, the artificial intelligence will directly send the request to the most suitable operator. The customer is placed first, filling in the booking form will find a reliable answer, because it’s confirmed by professional and competent staff in this specific field of tourism. In this video, we can see a demo live produced by Emanuele La Loggia, he can without without great efforts to combine self produced sounds with the Pokénmon sounds. Thanks to the new features introduced in Live Touch XJ, we can connect a keyboard to the tablet to get our lives more reactive and more usable as never seen. This live offered by Emanuele La Loggia, show the power and semplicty of Live Touch XJ. Reverse and echo are wisely combined creating harmonic and catchy sound. 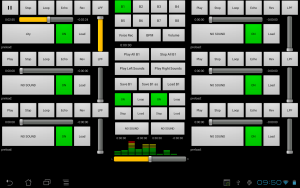 Live Touch XJ the Android app was born in 2011, to make our tablet a multimedia station for DJ and not only, still improves. In fact, this app lets you control sounds in real time using software that travels at the same melodic line, makes the musician and our tablet one, transforming the device a real musical instrument. As reported by the Google Play of May 26 was released a major update. The novelties are: the performance improvements, native support of the MP3 format and you can use the application using an external keyboard. 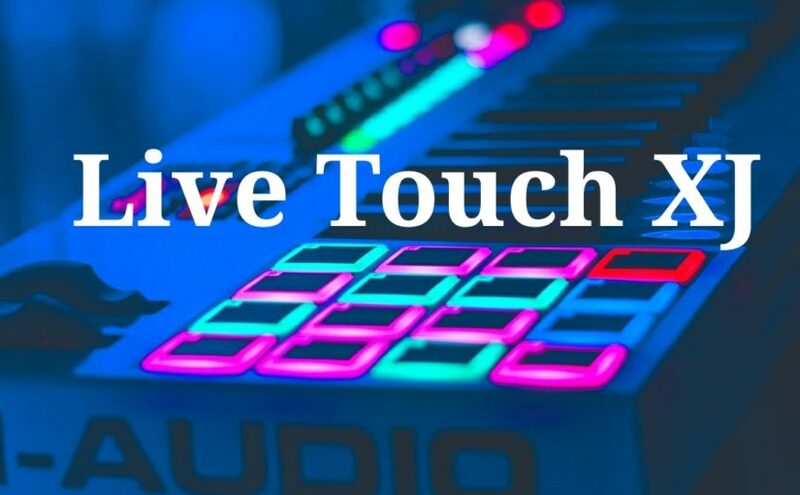 This application has a huge potential allows you to manage 8 sounds simultaneously, allowing them to apply effects like echo, reverse and cut-off and change the production speed a.k.a. time or bpm. The keys F1, F2, F3, F4, F5, F6, F7 e F8 of the external keyboard correspond to the play sound buttons of the player 1, 2, 3, 4, 5, 6, 7 and 8 on the virtual console. The keys 1, 2, 3, 4, 5, 6, 7 and 8 of the external keyboard correspond to the play/pause button of player 1, 2, 3, 4, 5 and 6 (7 e 8 only play). The shortcut S+F1, S+F2, S+F3, S+F4, S+F5, S+F6, S+F7 and S+F8 correspond to stop of player 1, 2, 3, 4, 5, 6, 7 and 8. The shortcut L+F1, L+F2, L+F3, L+F4, L+F5, L+F6, L+F7 and L+F8 correspond al to loop of player 1, 2, 3, 4, 5, 6, 7 and 8. The shortcut V+F1, V+F2, V+F3, V+F4, V+F5, V+F6, V+F7 and V+F8 correspont to increase the volume of player 1, 2, 3, 4, 5, 6, 7 and 8. The shortcut D+F1, D+F2, D+F3, D+F4, D+F5, D+F6, D+F7 and D+F8 correspond to decrease the volume of player 1, 2, 3, 4, 5, 6, 7 e 8. The shortcut F+F1, F+F2, F+F3, F+F4, F+F5, F+F6, F+F7 and F+F8 correspond to load of the player 1, 2, 3, 4, 5, 6, 7 and 8. The shortcut R+F1, R+F2, R+F3, R+F4, R+F5, R+F6, R+F7 and R+F8 correspond to reverse of the player 1, 2, 3, 4, 5, 6, 7 and 8. The shortcut E+F1, E+F2, E+F3, E+F4, E+F5, E+F6, E+F7 and E+F8 correspond to echo of the player 1, 2, 3, 4, 5, 6, 7 and 8. The B button open BPM dialog. Available google play in the Sponsored or Professional version. Softcontrol.it have updated the Radio Croda App adding a new feature that allow you to listen the radio while you use others apps. This feature have improved the productivity. You can download it from here.